There are plenty of things to experience in Finnish Lapland to the point that some of our guests started calling it Funland. Here are a few tips for your stay. 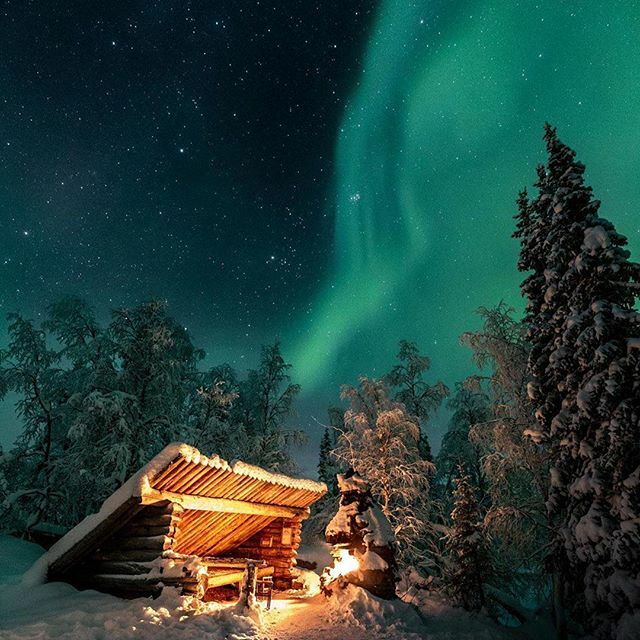 Winter turns Lapland into that magical fairyland that you’ve probably seen in pictures. At the cabin, we have snow shoes, sledges and skis for your use. You can also take daytrips to enjoy various kinds of activities. Harriniva is the most experienced wilderness activity provider in the area. They offer winter/summer activities such as husky safaris, snow mobile tours, northern lights walks and ice fishing. Pallaksen Pöllöt are experienced guides that can take you to the less explored areas in the mountain. They know where to find the best powder snow and they will take care of your safety while in the mountain. There's plenty to do for a downhill ski enthusiast. Ylläs is the largest ski centre in Finland and very family oriented. Levi is an entertainment centre that provides plenty of excitement. Pallas mountain is situated in a nature protection area and provides for enchanting views. Pallas hotel is a sight in itself with it's Twin Peaks-esque architecture and outside you can go on a snowshoe hike up the mountain. By measure, Pallas has the cleanest air in the world. 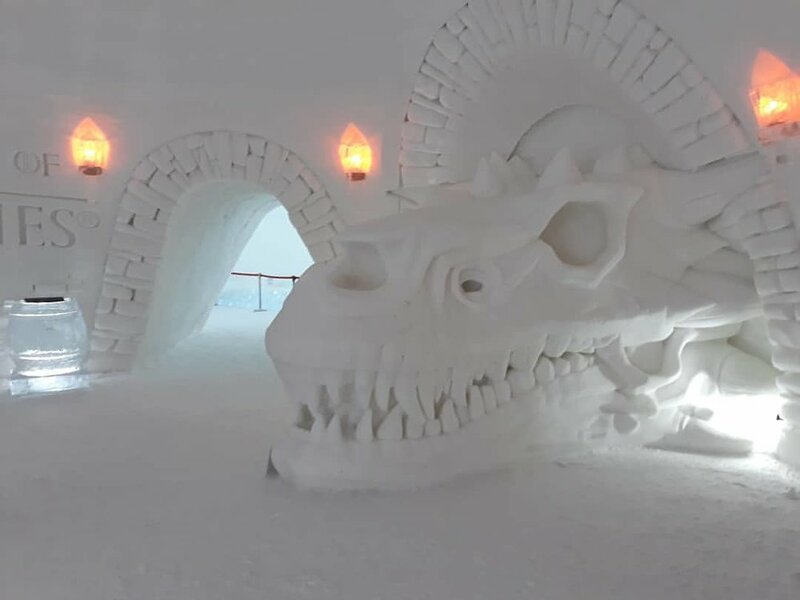 Each year a group of international specialists come together to build an enormous snow structure with arched gateways leading to rooms with incredible snow structures. It seems new ways of exploring nature are popping up every year. One of the newest ones is going on a tour on maintained forest paths using electrically powered bikes with fat tires. Incredibly, you can do this during winter, too! Five kilometers from Villa Sivakka you can find an atmospheric small cafeteria next to a historic mill. The whole place is situated at a breathtakingly beautiful rivermouth where you can hear the water flowing even during the coldest winter day. Check the limited opening times of the cafeteria. During spring, summer and autumn months Lapland is great both for relaxing and doing activities with the whole family. 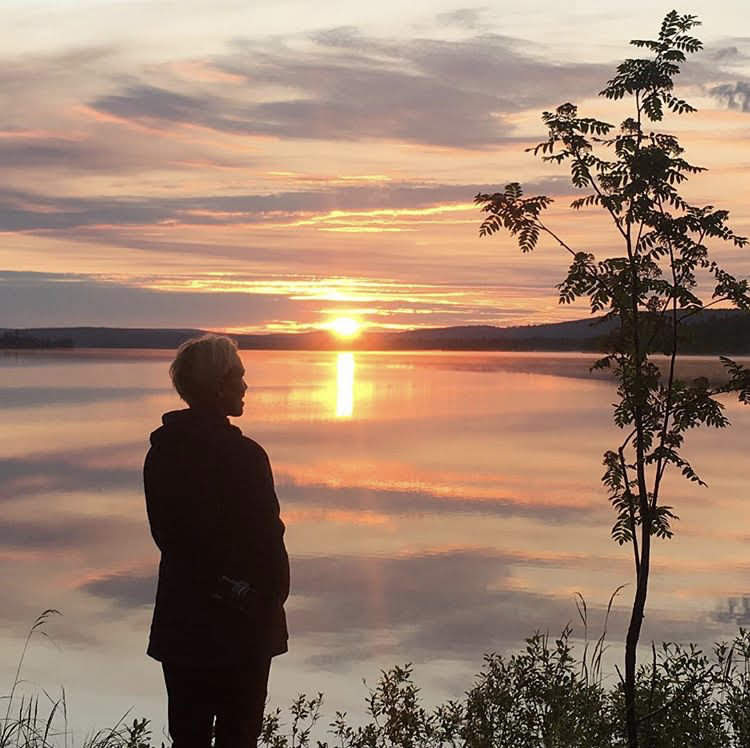 The beautiful and serene landscapes coupled with the midnight sun make Lapland a magical place to rewind. The cabin is situated at the beautiful Äkäsjärvi lake. During summer you can use our boat to go for a row and enjoy calm summer days and nightless nights. If you’re up to it, you can use our fishing gear to try to catch some dinner. 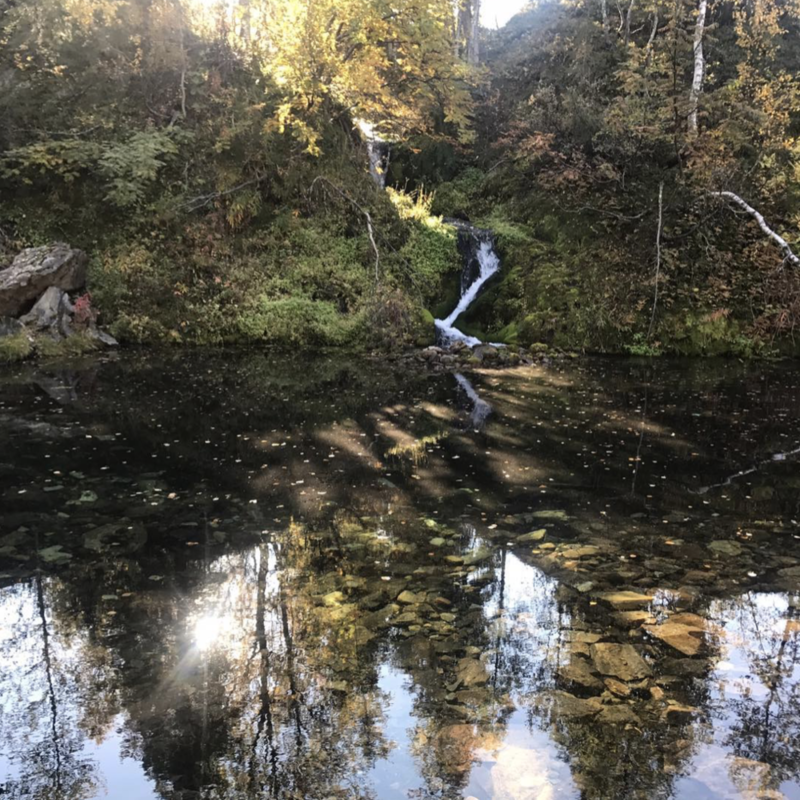 If there were to be a ”Finland’s Most Beautiful Nature Trail” competition, Varkaankuru “Wizards” Trail would get an award. 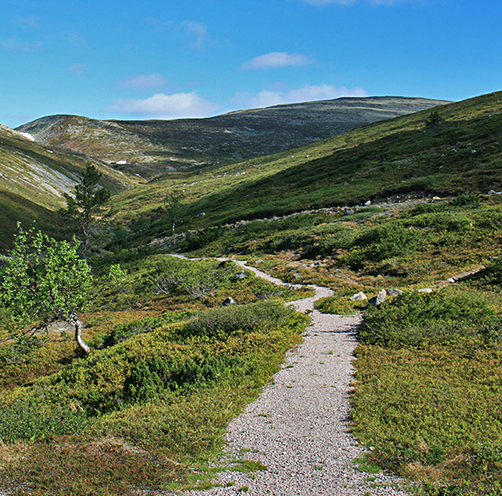 This easy 3,5km walk along duckboards presents a uniquely rich variety of Lapland nature. There are countless lakes, ponds, rivers and small creeks, which provide environment for fishermen to try their skills. It is only about a 30 minute drive to one of Finland's best salmon rivers, the Tornio-Muonio River. During summer you can stay up late into the evening to watch the different colours of the sky while the sun floats above the horizon and go to sleep when the sun starts to rise. Enjoy the light nights from May to mid August. It is possible to ride in Ylläs with Icelandic horses. A day trip in the fresh summer forest, or crispy autumn weather with the almost silent sound of the horse is one of those unforgettable experiences. You can enjoy some of the finest mountain biking experiences available. 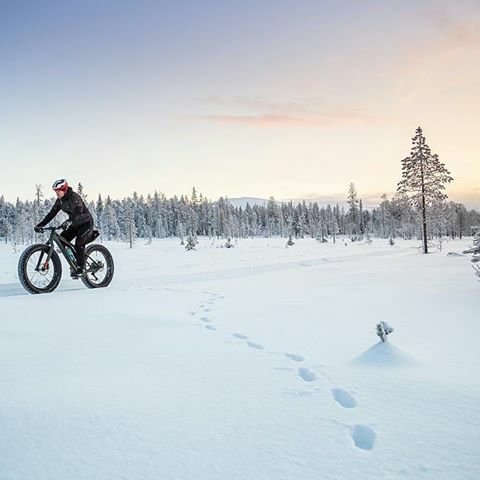 Surrounded by Finnish taiga, Lapland offers fast trails and stunning scenery. You can rent bikes or go to Ylläs Bike Park for downhill biking. The picturesque beauty of the Pallastunturi Fells has made the area one of the Finnish national landscapes.Trek from hilltop to hilltop from lodge to lodge through the arctic fells. Enjoy fresh air and find the passion of nightless night. Visit at the reindeer farm includes introduction about a history of reindeer herding and guided tour at the oldest reindeer farm in Finland and the museum. You have also chance to feed the reindeer. Lapland is a true place for super foods. You can pick up blueberries right next to the cabin or go on guided foraging tours where you are shown what to pick, where to pick it and afterwards make food on what you have found.